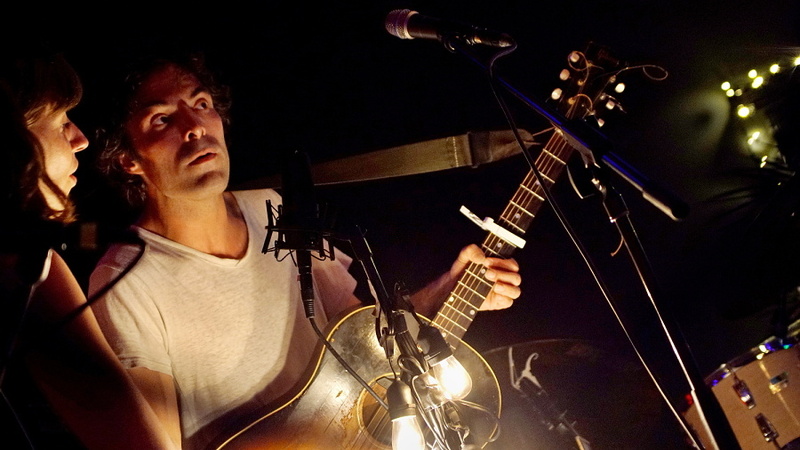 The Barr Brothers, one of Montreal’s finest exports, made a long-awaited stop in Liverpool, this is my report on the evenings’ proceedings. We were looking forward to The Barr Brothers return to Liverpool given their pedigree and the reviews we’ve caught since Harvest Sun announced their show. They hail from Rhode Island though they’ve been holed up in Montreal for the best part of 15 years. You can’t blame them for leaving really, Rhode Island is home to the world’s largest Termite and little else. They have earned their dues since arriving though, producing three albums and playing shows at Montreal Jazz festival, and gracing the main stage at the superb Oshega festival. We’ve spent a few holidays in Montreal, it’s produced Arcade Fire, Godspeed You! Black Emperor, Cirque du Soleil, Leonard Cohen, Naomi Klein, Oscar Peterson, Rufus Wainwright, William Shatner, Balconville and some glorious chocolate. Oh, it’s responsible for Celine Dion, but we’re a forgiving bunch. World’s largest Termite though, that’s the ticket. Montreal is an odd place, settled by the French, there are parts of the city where you’re forced to adjust your internal Sat Nav lest you believe yourself to be in Paris. On one trip we were lucky enough to catch some pop, some punk, what we were convinced was a revolutionary ska band and if their favourite tipple of Broken 7 hasn’t left us bereft of all comprehension, a jazz night with this evening’s hosts. Though it should be noted that Broken 7 does evil things to a person. Support act and Brighton native Emma Gatrill took a few of us by surprise, given that she was already onstage before most of the punters managed to make it upstairs to Leafs‘ performance space, late doors and last-minute technical glitches from so much gear on stage was at fault by our eyes, those difficulties aside she didn’t waste any time finding the room. She is listed online as a multi-instrumentalist but that probably doesn’t do justice to the sheer amount of tech she has onstage beside her harp. There is an array of loop pedals, synths, drum machines, a strange keyboard she plays with her feet and a raft of tech we couldn’t see. She plays a delicate selection of her own music and manages to throw in a pretty impressive Bjork cover. There is an intricate, melodic sense of wonder in her sound that is a joy to behold. There’s room in the world for more harpists, though we decided the need to retune the thing between each song made guitars look very attractive to budding musicians. It’s becoming boring at this point to describe the constant noise that accompanies shows at Leaf, but it’s a shame that so many in the audience didn’t give her room to breathe. Even when she was joined onstage by Andrew Barr the chatter didn’t dissipate. Though it has to be said that her final song about finding peace and tranquillity jarred somewhat with our desire to shout obscenities towards the back of the room. As they gathered on stage we decided that The Barr Brothers must be an absolute pain in the arse to tour manage. The sheer amount of instruments, percussion and assorted paraphernalia on stage would give anyone a headache in the forwarding transport department. How they manage to get across the Atlantic with all that intact left us scratching our heads. Andrew travels with a beautiful drum kit and a selection of noisy things that surely must get lost constantly. We pictured him walking into Home Bargains for a stew pot with a lid pre-gig, for that authentic tin clacking noise and something to play with a violin bow. Beyond getting all this across the Atlantic they are left with the unenviable task of fitting it all on stage. An assortment of tables, flight cases, and seats hold the stuff spilling over the edges, just. Thing is, it’s all put to excellent use. Trying to pin the Brothers Barr down is near impossible, while they have little room to physically move on stage their sound is all over the shop in glorious fashion. You can hear Rhode Island, classic American rock, lots of blues, country, folk, jazz, you can hear grimy city streets, rural Quebec, snippets of France. But it sounds like it’s been bundled in the back of a car, smuggled across the border into Montreal via deepest Vermont and locked in a basement until it produced whatever it’s kidnapper wanted. On stage, it’s like they’ve been released, allowed to go wild, drink beer and sing for their supper. But they’re suffering from Stockholm Syndrome, destined to go back to the basement, plug everything in and start over again. We’re not sure what their kidnapper wants but good God we hope no one pays the ransom. While the onstage banter was a little light, they seemed genuinely surprised by the turnout, their souls were bared, it was down and dirty and it was without question the first time we ever witnessed an on-stage duel between a guitar and a double bass. To think of it, we’ve never seen a harp take part in a full-on blues jam before either. Hell, the punters even managed to keep the noise down for most of their set. Their last four songs, performed around one mic draped in festoon lights, topped a superb 90-minute set. They played a smidgen past the curfew and left the audience literally begging for more. Not a bad night out that. We are looking forward to their return, though someone will have to stock up at Home Bargains.